EASY WASHI TAPE HEADBOARD - HIP HIP HOME! 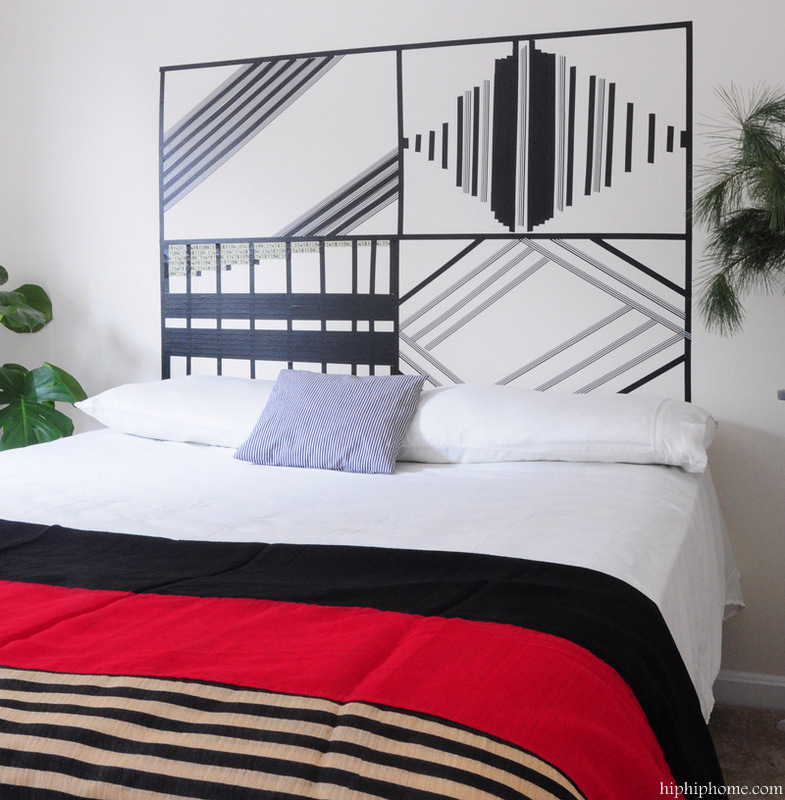 Today I want to share one of my favorite projects - an easy Washi tape headboard. It started out as an activity on a bored evening, and ended up being a fun project. Our guest bedroom is quite small, and there is no room for a real headboard. I decided to create something to give the room a focal point, and used Washi tape to create a pattern that looked like a headboard. The project is super simple. 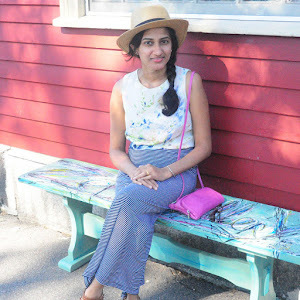 Here are the steps I followed. 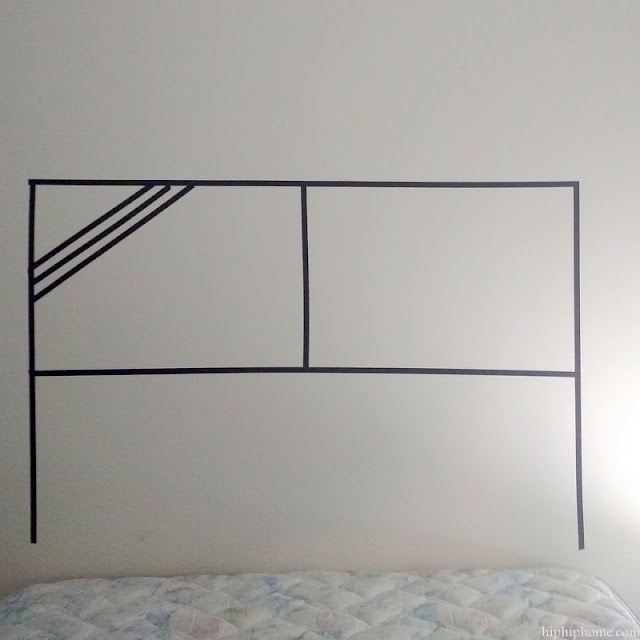 Tape out a border for your headboard and divide it into 4 sections. The small sections make working with the tape easier. 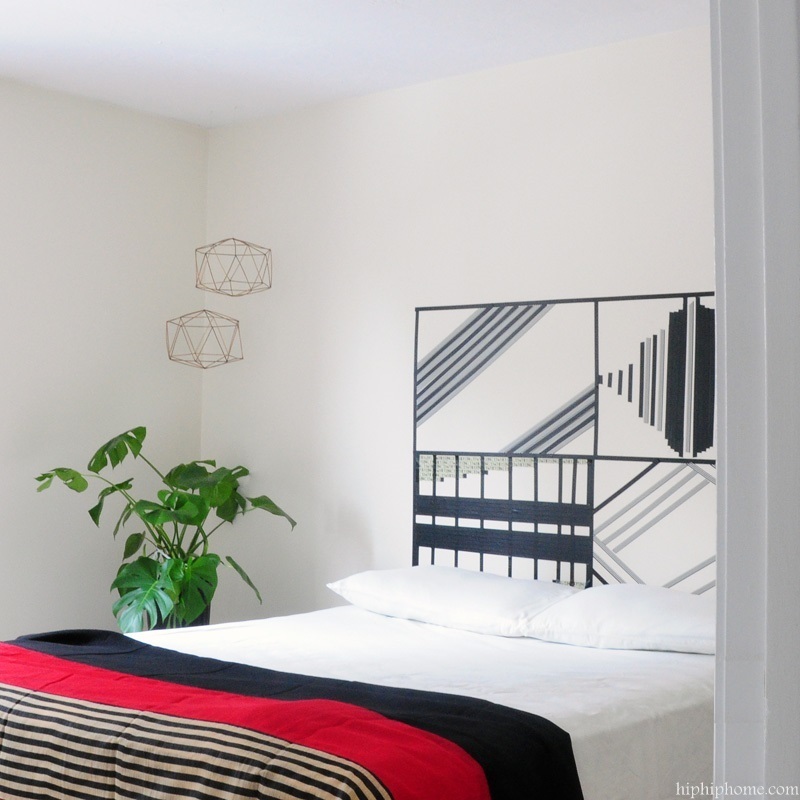 Use different but coordinating Washi tape and create patterns in each section. 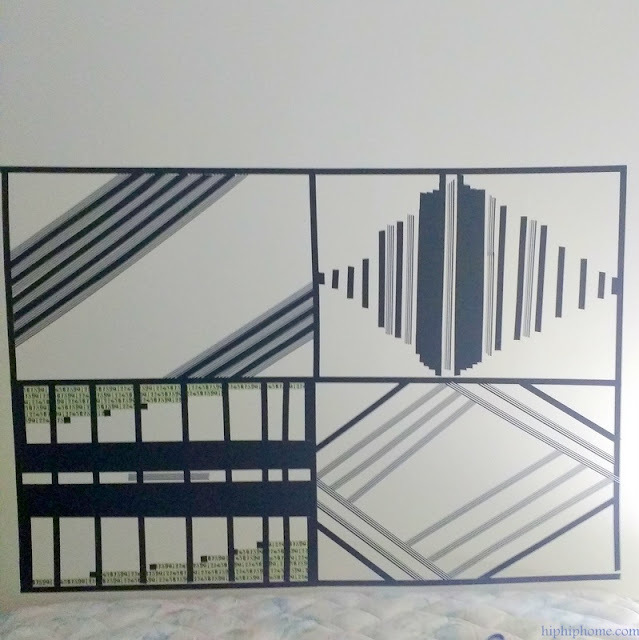 Since I wanted to create a monochromatic pattern, I only used black and white tape in different styles. Create desired patterns in all the 4 sections and YOU ARE DONE! Here is the finished 'headboard'. 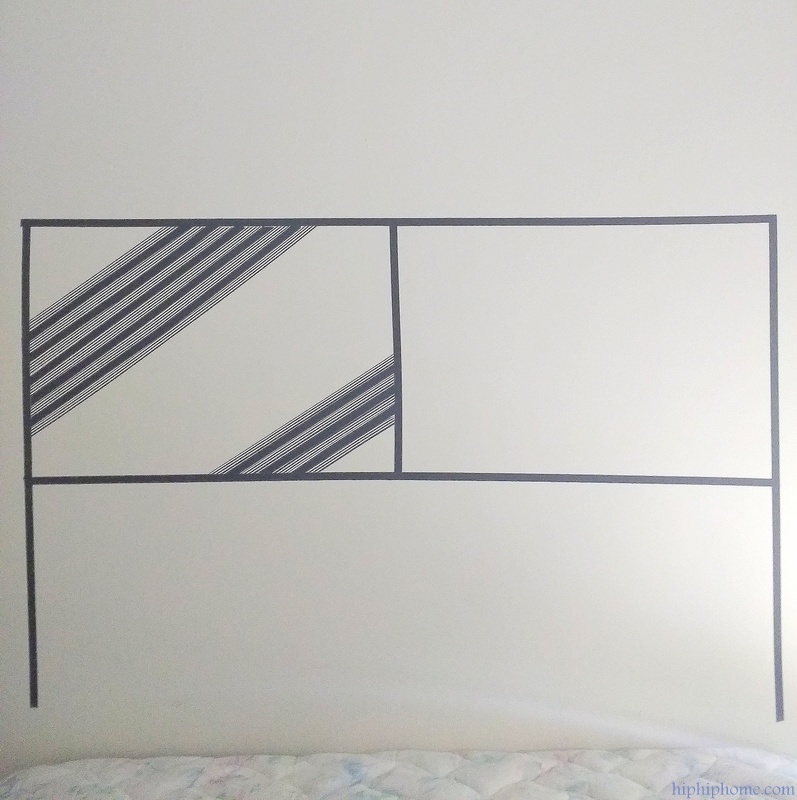 This will make for an excellent project for a kid's room or a dorm room, or even a spare bedroom like ours. 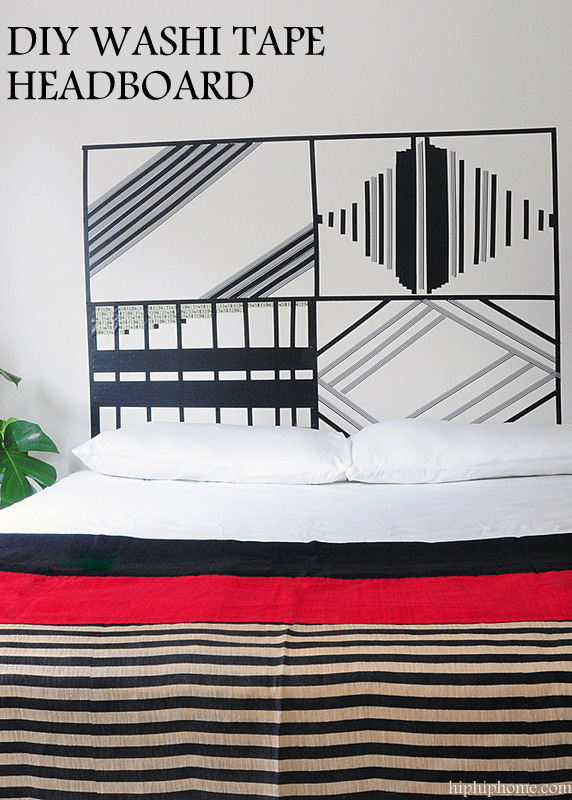 ﻿Until we figure out a more permanent headboard solution, this one is here to stay! So, what do you think? Is this something you will try? Wonderful idea Vin! Your design is so cool, but the possibilities are endless! Also, love the blanket.